The Bosch DDS183-02 18V EC Brushless Compact Tough 1/2 In. 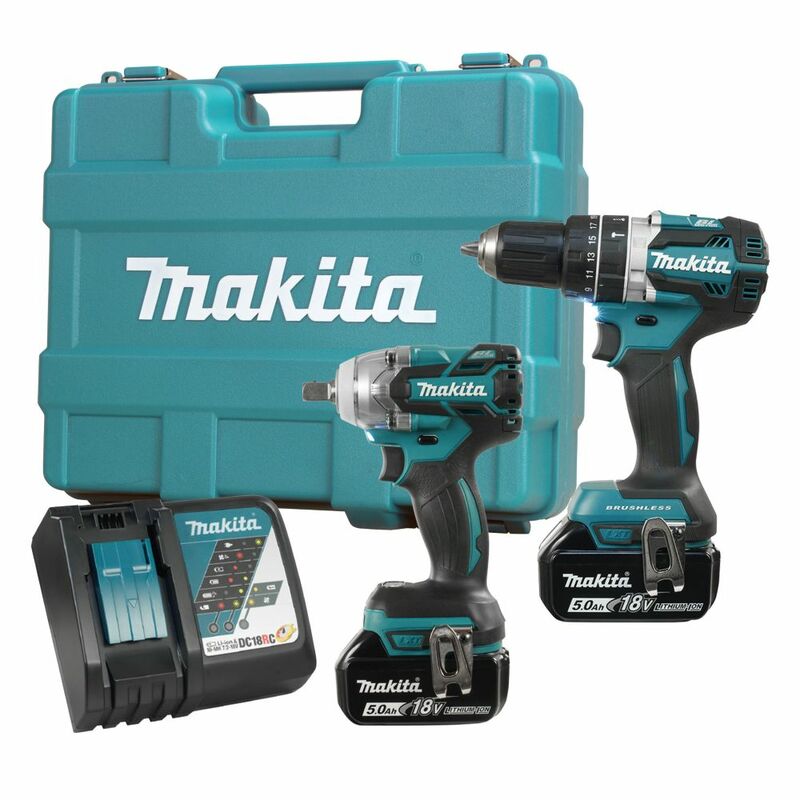 Drill/Driver Kit has a drill with KickBack Control, Bosch's integrated acceleration sensor that automatically shuts the tool down when a potentially dangerous rotational torque reaction occurs in a bind-up scenario. This reduces the risk of sudden tool reactions in binding conditions. Its efficient EC Brushless motor provides longer tool life as well as great runtime. One of Bosch's Compact Tough designs, the drill has a short head-length and light weight but plenty of muscle. It delivers a powerful performance, with 531 In.-Lbs. of torque, two drilling speeds (0-1,900 rpm for high speed and 0-600 rpm for torque) and 20+1 clutch settings for reduced fastener damage. The kit includes two 18V 2.0 Ah SlimPack batteries and a charger, as well as a long belt clip for a secure hold.